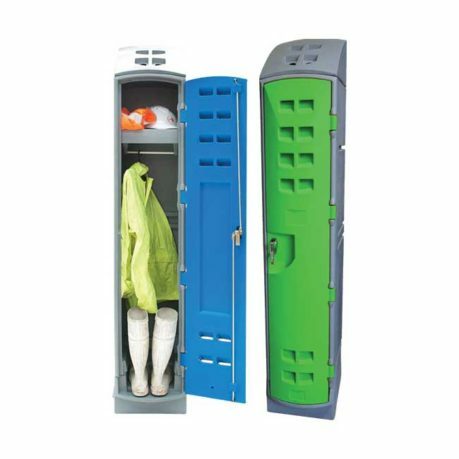 The OL1800 industrial lockers are designed for the mining and industrial market. With ventilation holes on top and on the doors as well as a large hole in the base they are ideal for drying out work clothes and boots. 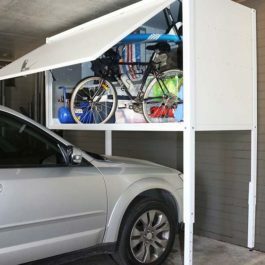 There is a hanging rail and a sturdy roto moulded shelf. These industrial lockers were originally created for the meat processing industry with air vents and drainage and can be hosed out on a regular basis without causing damage. Each locker compartment 370mm wide x 500mm deep x 1980mm high. The lockers are made of Heavy Duty Polyethylene and have a high grade stainless steel hinge making them ideal for coastal locations, wet areas and outdoors. They are easy to clean, just hose them out and graffiti is easier to remove with no painting required. 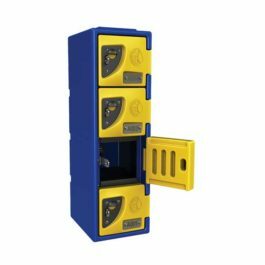 The lockers are guaranteed for quality and against manufacturing faults for 15 years and returns will be accepted if any lockers do not meet our high quality standards. The recommended maintenance, cleaning and care instructions must be followed to ensure the 15 year warranty is not voided.